Open pocket. iPod port. Adjustable shoulder strap. 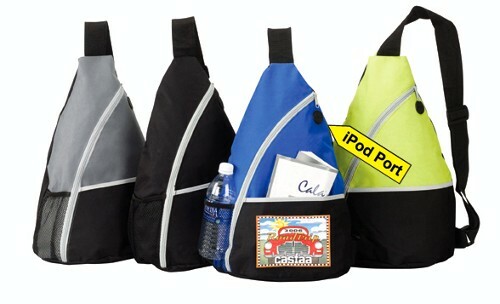 Perfect for school and travel.